San Francisco, CA (February 3, 2017) – Can playing games make you smarter? Some neurologists believe puzzle solving is akin to a good cardio workout for your brain! Kids – and adults – that try to decode a game of jumping rabbits and sliding foxes in Jump’in ($14.99) might be in the perfect frame of mind to ace this week’s math test! SmartGames, makers cognitive skill-building games and puzzles that are really fun, introduce four new games at Booth 169 at the North American International Toy Fair. 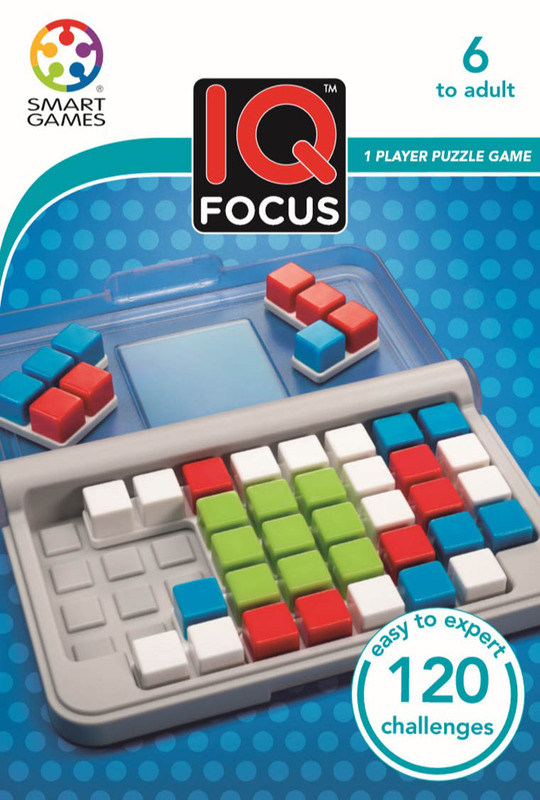 Kids and adults working on planning, spatial reasoning and problem solving need just open IQ Focus ($9.99) or Temple Connection ($21.99). 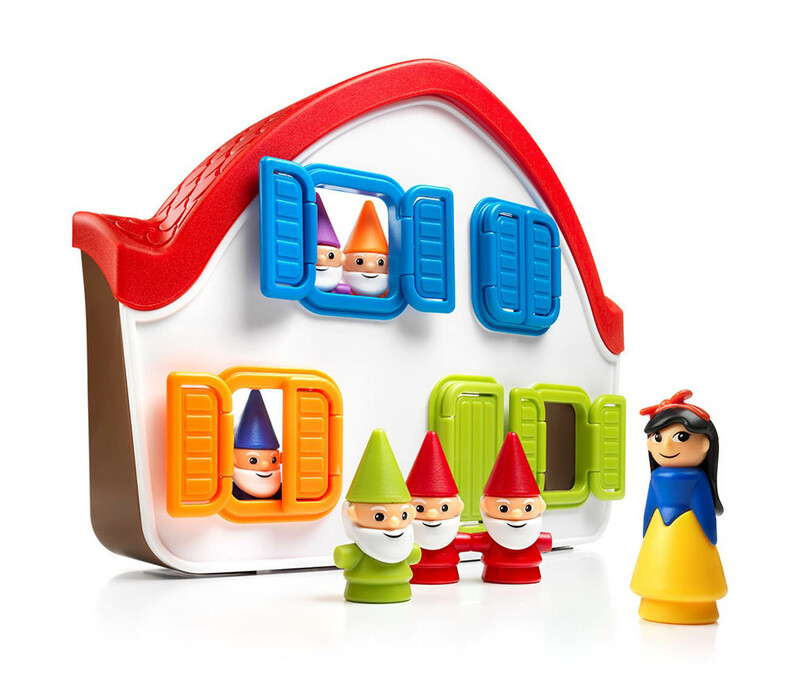 Young children can enjoy a fun mental workout with Snow White ($26.99) but watch out for the evil witch! Year after year, the award-winning game company gears its thought-provoking puzzles for everyone – from ages 3 to 103. Educators and toy experts have globally applauded SmartGames with more than 75 industry awards for its clever ways to explore pattern recognition and spatial insight. Retailers adore SmartGames puzzles for their consistent variety and challenges. Customers are happy to share their feedback all over the internet. Available in June 2017, this classic tale has a few twists and turns to challenge kids and mom or dad! Players use logic to place the game characters in a vertical 3D house according to increasingly challenging rules. Familiar characters including dwarves, a witch and Snow herself, all huddled around a forest cottage. Also includes a family-friendly picture book. Available in March 2017, an amazing 120 challenges are tucked into this solo player puzzle. Kids to adults must focus on the central area of the game board to solve the puzzles in this IQ puzzle game. Fill the grid with 10 3D, multicolor pieces to match what is shown in the challenge. 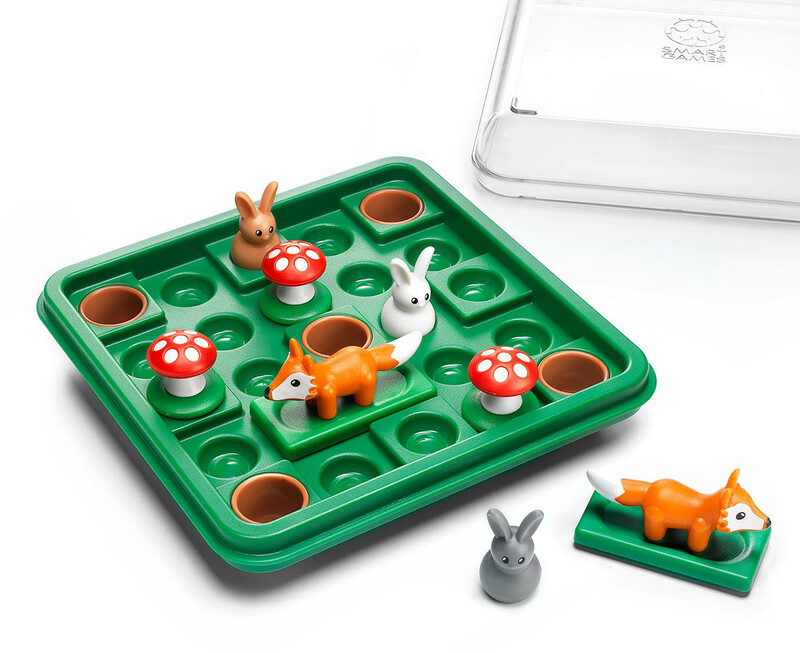 In Jump’In players help rabbits jump over the sliding the foxes around the game board until all are safe in their holes. Early challenges require just a few moves, but later challenges require dozens! A great travel game that features 60 challenges plus a portable carrying case. Available in March 2017. 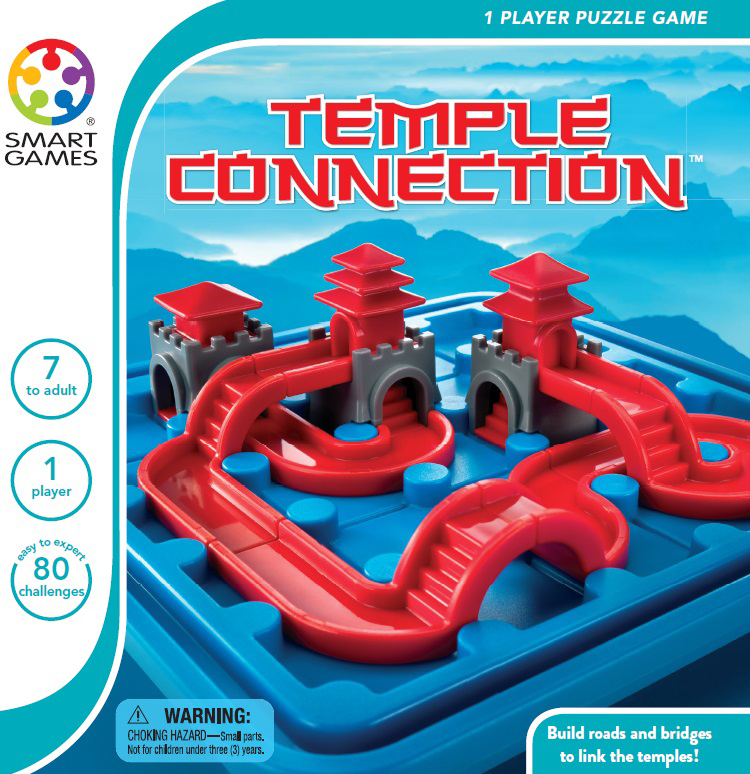 Can you place the puzzle pieces with red roads and high bridges on the board to create paths that connect the beautiful temples in Temple Connection? Find your way up and over bridges and down around the low roads. Temples feature ground and second floors. Put it all together to solve the 80 different challenges! Perfect for solo play at home or in the minivan’s back seat! Available in March 2017. Find these new games in the coming year at toy stores across the U.S. and online at SmartGamesUSA.com. SmartGames followers can join them on Twitter, Facebook, Instagram, YouTube and Pinterest under SmartGamesUSA. Smart Toys and Games products develop logical thinking and problem solving skills in all ages through fun, challenging play. Each multi-level game from the SmartGames® line is designed to move players through carefully sequenced levels of game play. Fun, durable and compact, many SmartGames are perfect for travel. SmartMax® construction sets enable children to explore the fascinating world of magnetism in a safe and creative way through making strong building structures and vehicles. GeoSmart™ is the future of geomagnetic play with bright colors, strong pieces, and a patented double-lock safety system. Additional product lines offered by Smart Toys and Games include Tangoes®, which is based on the ancient Chinese Tangram puzzle and combines artistic and mathematical elements to create a variety of designs; and online brain-building fun for both children and adults at http://www.SmartGamesLive.com.